In eight federal states, the Easter vacation officially starts on Monday. Those are Berlin, Baden-Württemberg, Bavaria, Brandenburg, Hesse, Mecklenburg-Hither Pomerania, North-Rhine Westphalia and Thuringia. Sure, vacations are always nice, but the coin has a flip side. Many Germans and other residents will take Easter trips to see relatives or nice places or both. Eight provinces are starting their vacations on the same day. The German Autobahn network is literally plastered with countless construction sites. 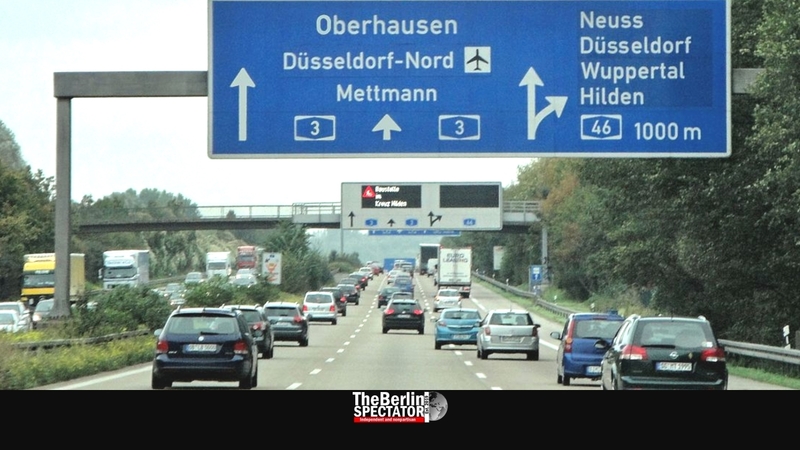 All of this means that for many vacationers who insist on traveling by car, the Easter holidays will likely commence with bad ‘surprises’ on Germany’s roads. Traffic can pile up anywhere at any time. But on many stretches, big traffic jams are definitely a foregone conclusion. Leaving Berlin towards Hamburg via the A111, the A10 and the A24 is always a pain in the neck due to all of those construction sites all over the place. This applies even more today and tomorrow. Choosing the federal highway 5 towards the east instead will not help, because everyone will have that ‘genius idea’. The only remedy is to choose trains instead, but they will also be crammed. The same applies to buses. Coloring those Easter eggs at home is really the only way to avoid getting stuck in holiday traffic.